Malaria is still a public health problem in over 100 countries [1World Health Organization. Progress achieved in malaria control / elimination in South-East Asia Region [Internet]. 2015 [cited 2017 Jan 16]. Available from: www.searo.who.int/entity/malaria/topics/progress]. Africa is the most endemic area; Southeast Asia follows as the second-highest place in terms of endemicity, morbidity rates, and mortality rates [2Jamison DT, Feachem RG, Makgoba MW, et al. Disease and mortality in sub-Saharan Africa 2006.]. Despite the global decline in the number of malaria cases and associated deaths from 2000 to 2015, an estimated 214 million people were diagnosed with malaria and around 438,000 deaths were reported globally, most of which occurred in countries with a great malaria burden and where healthcare systems are weak [3World Health Organization. Investing to overcome the global impact of neglected tropical diseases: third WHO report on neglected tropical diseases 2015 World Health Organization; 2015 Aug 5 ]. Malaria is a public health concern due to (i) changing meteorological characteristics, (ii) the influx of migrant workers who seek employment opportunities in development projects such as mining, plantations, major constructions, and road-building, (iii) delayed diagnosis seeking behavior of patients, and (iv) multi-drug resistance [4World Health Organization. 2008.www.who.rollbackmalaria.org/]. The prevalence of clients who seek diagnosis and treatment more than 24 hours after the onset of symptoms is 79.4%, while delay caused by providers delayed was only 1.3% [3World Health Organization. Investing to overcome the global impact of neglected tropical diseases: third WHO report on neglected tropical diseases 2015 World Health Organization; 2015 Aug 5 ]. Apart from the cost only for having diagnosis and treatment of malaria, almost 80% of the total expenses were indirect costs associated with seeking treatment [5Amexo M, Tolhurst R, Barnish G, Bates I. Malaria misdiagnosis: effects on the poor and vulnerable. Lancet 2004; 364(9448): 1896-8. [http://dx.doi.org/10.1016/S0140-6736(04)17446-1] [PMID: 15555670] ]. These costs act as a barrier for poor people to assess proper health services and can cause a delay in treatment seeking and increase self-medication practices. Without proper treatment, the delay may tend to develop severe complications and deaths within one week of onset of fever [5Amexo M, Tolhurst R, Barnish G, Bates I. Malaria misdiagnosis: effects on the poor and vulnerable. Lancet 2004; 364(9448): 1896-8. [http://dx.doi.org/10.1016/S0140-6736(04)17446-1] [PMID: 15555670] ]. In meantime, most patients seek their first treatment at drug shops (18%), Markets (15%), private clinic (16%) and Quack (1%) [6Nyunt MH, Aye KM, Kyaw MP, et al. Evaluation of the behaviour change communication and community mobilization activities in Myanmar artemisinin resistance containment zones. Malar J 2015; 14(1): 522. [http://dx.doi.org/10.1186/s12936-015-1047-y] [PMID: 26697850] ]. Myanmar is still considered to have a significant number of reported malaria cases as compared to South East Asian Countries although effective treatment milestones have been achieved in recent years. In 2016, 291 out of 330 townships in Myanmar are malaria endemic and the percentage of the population in those areas is 76.34%. Both mortality and morbidity rate have been reduced from 2011 to 2016. However, there were 105,178 confirmed malaria cases and 21 deaths reported and are one of the highest morbidity rate and mortality rate among the countries in the SEARO region in 2016 [7Department of Public Health. Ministry of Health and Sports 2016.www.myanmarhscc.org]. Moreover, since 2009, available data have suggested the emergence of artemisinin resistance in five regions and states of Myanmar, that is in relation to all the currently using three first-line artemisinin-based combination therapy -ACTs (artemether-lumefantrine, artesunate-mefloquine and dihydroartemisinin-piperaquine) [3World Health Organization. Investing to overcome the global impact of neglected tropical diseases: third WHO report on neglected tropical diseases 2015 World Health Organization; 2015 Aug 5 , 4World Health Organization. 2008.www.who.rollbackmalaria.org/, 8Economic UNDO, Information UNDOP. The millennium development goals report 2009 2009., 9Dondorp AM, Yeung S, White L, et al. Artemisinin resistance: Current status and scenarios for containment. Nat Rev Microbiol 2010; 8(4): 272-80. 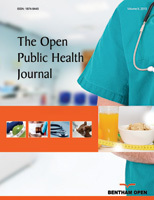 [http://dx.doi.org/10.1038/nrmicro2331] [PMID: 20208550] ]. The true magnitude of the malaria problem might be much higher (the majority behaves either self-medication or seeking care in the private formal or informal sectors like general practitioners or quacks) [10Latt NN, Myat Cho S, Htun NM, et al. Healthcare in Myanmar. Nagoya J Med Sci 2016; 78(2): 123-34. [PMID: 27303099] , 11Progress achieved in malaria control / elimination in South-East Asia Region [Internet]. 2000-2011 [cited 2017 Jan 17]. Available from: www.searo.who.int/entity/malaria/topics/progress]. Nevertheless, according to the World Health Organization (WHO), Greater Mekong Sub-region (GMS) strategies and government committees have been launched to eliminate malaria in Myanmar by the year 2015-2030 [11Progress achieved in malaria control / elimination in South-East Asia Region [Internet]. 2000-2011 [cited 2017 Jan 17]. Available from: www.searo.who.int/entity/malaria/topics/progress]. The WHO also encouraged that all malaria suspected clients should have access to early diagnosis by either microscopy or Rapid Diagnosis Tests (RDT) and treatment facility as early as possible. The ideal time is within 24 hours from the onset of symptoms to halt the risk of serious complications and forward transmission [12Murray CK, Gasser RA Jr, Magill AJ, Miller RS. Update on rapid diagnostic testing for malaria. Clin Microbiol Rev 2008; 21(1): 97-110. [http://dx.doi.org/10.1128/CMR.00035-07] [PMID: 18202438] ]. Types of delayed seeking diagnosis and standard treatment (n=220). Associations between general characteristics, disease exposure and delayed diagnosis and standard treatment (n=220). Association between knowledge, health seeking behavior, overall perception on malaria, social support and delayed diagnosis and standard treatment (n=220). Since 2000, the Myanmar Medical Association-Malaria (MMA-Malaria) project began with the support from the Ministry of Health and Sports (MoHS), Vector Borne Disease Control (VBDC) team and WHO to promote an effective prevention against malaria and provide accessible quality diagnosis and standard treatment of malaria to the poor in endemic and high risk townships. According to the 2016 project data, 72% of malaria patients were delayed (>24 hours after onset of symptoms) in seeking diagnosis and treatment. It is still an issue to be addressed by any effective intervention [13Quality Diagnosis and Standard Treatment of Malaria Project [Internet]. 2015 [cited 2017 Jan 23]. Available from: www.mmacentral.org]. Early accessible to health service in a timely manner is essential to strengthen case-based surveillance and other interventions [11Progress achieved in malaria control / elimination in South-East Asia Region [Internet]. 2000-2011 [cited 2017 Jan 17]. Available from: www.searo.who.int/entity/malaria/topics/progress]. However, one of the major gaps is the lack of formative behavioral research conducted. This study aimed to investigate the determinants of delayed diagnosis and treatment of malaria patients in Myanmar by tracking the background information of malaria patients. Based on the patient’s record of the MMA-Malaria project, delay in diagnosis and treatment of malaria patients in the previous year 2016 was traced for data collection [13Quality Diagnosis and Standard Treatment of Malaria Project [Internet]. 2015 [cited 2017 Jan 23]. Available from: www.mmacentral.org]. The population of interest for the study were malaria-positive patients residing in the selected three townships located in malaria-endemic areas in Myanmar, who were diagnosed during the 12 months preceding the study and who elected to delay diagnosis and standard treatment. According to the 2016 carbonless patients register, in Paletwa, Ann and Bokpyin, there were 761, 543 and 188 malaria positive cases, respectively. Based on the MMA-Malaria Project's data for 2016, 601, 412 and 159 of these cases pertained to patients that delayed seeking care and treatment in Paletwa, Ann and Bokpyin, respectively. Next, systemic random sampling was used to select from these groups a sufficient number of adults (aged 18 or older) (Fig. 1 ). The sample size for each township was calculated by using the formula; nv = (nc / Nt)*Nv where, nv is the number of samples for each township, nc denotes the total sample size available for the study, Nt is the total number of malaria patients residing in the three townships that delayed seeking treatment, and Nv is the number of such patients in each township. Based on this calculation, 220 individuals were recruited for the present study. Sample flow chart (Source: current study). It was divided into two types: delayed diagnosis and delayed treatment; in addition, it was classified using three degrees: (a) 24 - 48 hours, (b) 48 - 72 hours, and (c) more than 72 hours. All of the respondents were mostly delayed in both diagnosis and effective treatment. These delays may be due to respondents’ low knowledge levels and working age group; they could not go to the clinic within 24 hours, and they did not know how to predict malaria by themselves. In addition, most of the respondents lived in either the malaria-endemic area or remote areas, which made it difficult for them to access the health center. The majority of respondents had delays in diagnosis of more than 72 hours because the selected township had poor public transportation and no health centers. Also, the malaria patients did not know the signs and symptoms of malaria and its complications; therefore, patients did not know exactly when they had malaria. Delayed malaria diagnosis and delay in effective treatment were the worst in Paletwa Township because the township was in a hilly region, and travel was difficult. The previous study in Wa region, Myanmar found that 87.5% of respondents were delayed in malaria treatment because of low family income and distance from health facilities [14Xu J-W, Xu Q-Z, Liu H, Zeng Y-R. Malaria treatment-seeking behaviour and related factors of Wa ethnic minority in Myanmar: A cross-sectional study. Malar J 2012; 11(1): 417. [http://dx.doi.org/10.1186/1475-2875-11-417] [PMID: 23237576] ]. Another study in the endemic area of rural Myanmar showed that 84.2% of respondents were delayed in seeking malaria treatment, and only a few were not delayed in seeking effective treatment within 24 hours after the onset of the first symptoms of malaria [15Nay LH. Factors associated with delayed malaria treatment among adult villagers in endemic areas of Rural Myanmar (Doctoral dissertation, Mahidol University; 2015). ]. Delay times were longer in older age groups compared with younger age groups because most of the older respondents were dependent on the family, and they could not go to clinics by themselves. In addition, the older villagers relied on traditional medicine and trusted spiritual and traditional beliefs. The degree of delay for younger age groups was not high, but they were also delayed; the younger groups thought that they had high immunity and that malaria would, therefore, resolve naturally, so they did not go to health centers within 24 hours. These respondents were also in the working age groups, so they could not go to health centers easily when they were working, especially if they were working in the forest. This was similar to the previous study in Myanmar and the Cambodian border area in 2013, which found that the respondents over 30 years of age were more likely to delay than the other age groups [16Bhumiratana A, Intarapuk A, Sorosjinda-Nunthawarasilp P, Maneekan P, Koyadun S. Border malaria associated with multidrug resistance on Thailand-Myanmar and Thailand-Cambodia borders: Transmission dynamic, vulnerability, and surveillance. BioMed Res International 2013.]. Regarding gender, two-thirds of the respondents were male. Most of them were forest-related workers and, thus, they were more prone to infection and to delayed diagnosis and treatment. Most male respondents had low education levels, and they did not know the severity and complications of malaria; therefore, they self-medicated and did not go to health centers within 24 hours. One of the studies in Myanmar showed that male respondents more often delayed treatment than females [15Nay LH. Factors associated with delayed malaria treatment among adult villagers in endemic areas of Rural Myanmar (Doctoral dissertation, Mahidol University; 2015). ]. Another study in Mae Ramat district, Tak Province, Thailand (located in the Thailand - Myanmar border area) showed that the number of male respondents who were delayed was predominantly higher than female respondents; therefore, males might be a high-risk group for contracting malaria, and most of them were delayed in malaria diagnosis and effective treatment [17Hla S. Health seeking behavior for malaria treatment among the household members along the Thai-Myanmar border area in Maeramad district, Tak province 2001.]. The study, however, observed that more than two-thirds of them had low levels of education (i.e., illiteracy, primary and secondary school), and the results showed that the lower the knowledge level, the more prolonged the delay in diagnosis and effective treatment. This may have been because most of the respondents who had low education levels did not attend to the health education section, and they were not interested about health information provided by the government or MMA or some other NGOs. Marital status was also associated with delays in malaria diagnosis and effective treatment. Married respondents were 1.89 times more likely than single respondents to delay diagnosis and treatment. The married respondents thought that fevers with chills and rigors were not important, and they were more focused on their families and their economic status, so they relied on self-treatment and traditional healers. The 2015 study in rural Myanmar similarly found that most of the respondents (75.2%) were married and were 1.41 times more likely to delay than others [15Nay LH. Factors associated with delayed malaria treatment among adult villagers in endemic areas of Rural Myanmar (Doctoral dissertation, Mahidol University; 2015). ]. Regarding occupation, most respondents were forest-related workers, and they were more delayed in the diagnosis and effective treatment because they did not know they were more prone to infection. These workers had difficulty with transportation, and they could not easily go to health centers when they were getting ill. In addition, their job behaviors were also one of the reasons for delays; they built temporary houses and lived in the forest, and so they did not have easy access to health centers. One of the studies in Thailand in 2001 showed that forest-related workers had negative health-seeking behavior and more delays in diagnosis and treatment than other occupations (e.g., seller, street vendor, or employee of government) [17Hla S. Health seeking behavior for malaria treatment among the household members along the Thai-Myanmar border area in Maeramad district, Tak province 2001.]. Other remaining variables (e.g., monthly family income, living near forested areas, experience in health-related fields, and previous illnesses with malaria) were not associated with delayed malaria diagnosis and effective treatment. This was a similar finding to that of the 2015 study in rural Myanmar, which showed no association between income and delayed malaria treatment [15Nay LH. Factors associated with delayed malaria treatment among adult villagers in endemic areas of Rural Myanmar (Doctoral dissertation, Mahidol University; 2015). ]. As to income of the respondents, more than two-thirds of them earned more than enough money to afford to go to clinics; however, they delayed because of the unavailability of health-care personnel. Moreover, their work, families, and social activities might also have led to delayed diagnosis and effective treatment. Another variable, disease exposure, was not associated with delayed diagnosis and effective treatment because almost all (i.e., nearly 100%) of the respondents were not experienced in health-related fields, and they had not suffered from malaria before 2016. This study found an association between knowledge of malaria and delayed malaria diagnosis and treatment; however, the results showed that more than half of the respondents had low levels of knowledge, and only a few respondents had higher levels of knowledge about malaria. The respondents who had low levels of knowledge about the disease were more likely to have delayed diagnosis and treatment. The previous study in Myanmar found the similar result, that 56.1% of respondents had poor knowledge so that they went to informal health center including traditional healers and quacks and treated after 72 hours from the onset of symptom started [15Nay LH. Factors associated with delayed malaria treatment among adult villagers in endemic areas of Rural Myanmar (Doctoral dissertation, Mahidol University; 2015). ]. This was also similar to a study in Mae Sot district, Tak province, Thailand which showed that there was a significantly positive correlation between knowledge on malaria and treatment seeking behavior [18Nyein CKN. Health Seeking Behavior for Malaria Among Myanmar Migrants Attending to Mae Tao Clinic, Mae Sor District, Tak Province, Thailand (Doctoral dissertation, Mahidol University, 2014). ]. The respondents in this study have several choices as seeking treatments for illness. This study found that more than half of them chose health center and volunteer. Some of them still chose traditional healer and quacks. However, all of the respondents delayed more than 24 hours, even they choose correct health services. This may be due to the availability of volunteers that they also go to work for their income, thus sometimes they are not in the village when the patients need [19Aung PL, Silawan T, Rawiworrakul T, Min M. Perceived role and its enhancing factors among the village health volunteers regarding malaria control in rural myanmar. Indian J Public Health 2018; 62(1): 10-4. [PMID: 29512559] ]. In addition, the respondents thought that the cost for malaria diagnosis and treatment is expensive, difficult to find health care personal and distance barrier. Drug vendors sell fake drugs or ineffective drugs, which the respondents can easily buy so that they do not want to go health center. The previous study in Myanmar showed that health-seeking behavior and services accessibility were associated with delayed in malaria treatment [15Nay LH. Factors associated with delayed malaria treatment among adult villagers in endemic areas of Rural Myanmar (Doctoral dissertation, Mahidol University; 2015). ]. Also, a study in Myanmar described that roles of assigned village health volunteers are questionable and need to be strengthened [19Aung PL, Silawan T, Rawiworrakul T, Min M. Perceived role and its enhancing factors among the village health volunteers regarding malaria control in rural myanmar. Indian J Public Health 2018; 62(1): 10-4. [PMID: 29512559] ]. Regarding the perception, there was an association between perception and delayed malaria diagnosis and effective treatment in this study. This result implied that the respondents who had poor perception went to clinic later than the respondents who had a good perception of malaria. Interestingly, 5.8% of respondents went to the clinic more than 72 hours and had a good perception on malaria. The reason might be due to civil war especially in Paletwa township, respondents had good perception but they cannot go to health center at the time of illness. It was similar to the previous study in Zanazibar in 2013, which showed that there was an association between perception and seeking malaria treatment [20Bauch JA, Gu JJ, Msellem M, et al. Perception of malaria risk in a setting of reduced malaria transmission: A qualitative study in Zanzibar. Malar J 2013; 12(1): 75. [http://dx.doi.org/10.1186/1475-2875-12-75] [PMID: 23433302] ]. 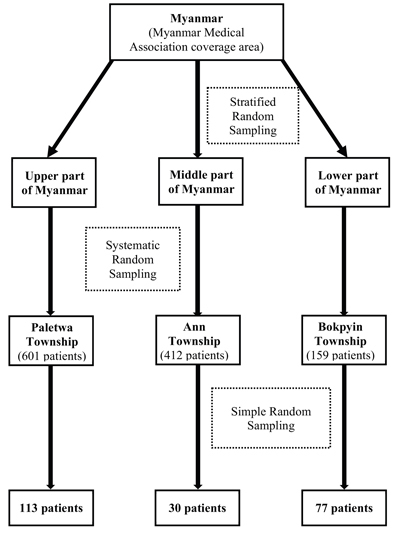 Contrastively, the study done in Tak province, Thailand in 2007 found no association between them and showed different result compare to this study [17Hla S. Health seeking behavior for malaria treatment among the household members along the Thai-Myanmar border area in Maeramad district, Tak province 2001.]. There was an association between social support on malaria services and delayed malaria diagnosis and effective treatment. Half of the respondents had low social support for malaria services. Less than 30% of the respondents got support all the time from family, friends, community and volunteers but more than half of them got support sometimes. Most of the respondents never got final support from all of the social support on malaria services. Therefore, they did not go to malaria services within 24 hours and they went to health center or volunteer when it is more severe. Some rural areas where people have low income were presented that villagers do not want to pay for malaria service. This may lead to delayed in malaria diagnosis and effective treatment. One of the previous studies in Myanmar showed that respondents who can afford for the treatment also significantly associated with seeking malaria treatment and 1.54 times more less likely to delay than those who cannot afford [15Nay LH. Factors associated with delayed malaria treatment among adult villagers in endemic areas of Rural Myanmar (Doctoral dissertation, Mahidol University; 2015). ]. Difficulty in transportation is another problem in villages; transportation was not convenient and difficult to access, most of the respondents used their own vehicles to get malaria services. Some respondents lived far away from the malaria services, thus, patients do not want to go to health care center and they more preferred to choose the nearest place for malaria services.